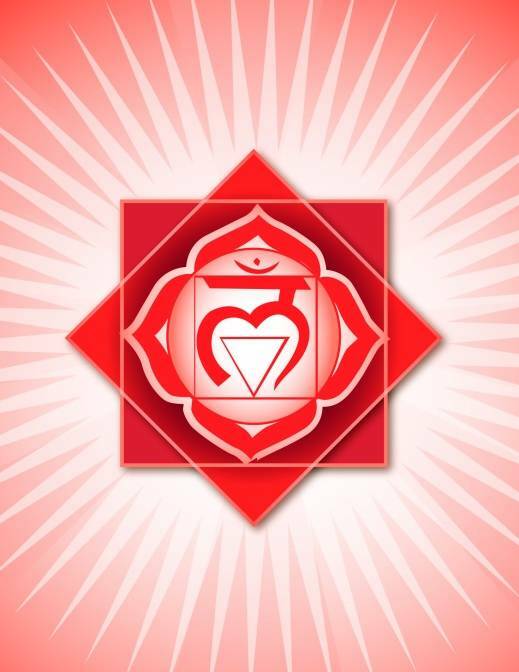 One has to balance chakras to get good health.Chakra is a Sanskrit word which means a “wheel”, comprising of lotus petals or spooked wheels and it generates energy at various speeds. It is located at the base of spine. Its color is red. It deals with adrenal glands. Its element is earth. It handles organs viz kidneys, bladder, spinal column, legs and takes care of excretory, muscle, skeleton system in a body. Functional areas are physical energy, kundalini power, security, survival, grounding and fear. 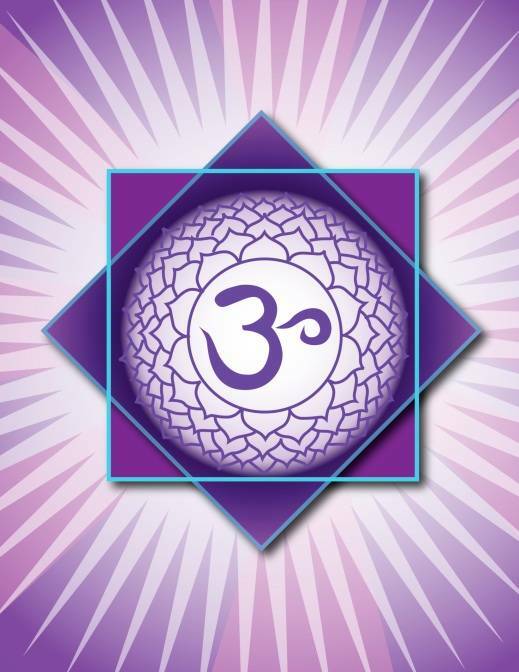 This chakra denotes material life and basis for human existence in this physical world and self preservation. Its Mantra is Lam. Its crystal is garnet, ruby. 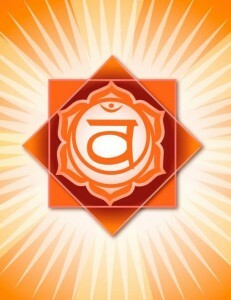 This chakra resides at stomach. Its color is yellow. It deals with pancreas gland. Its element is fire. It handles liver, stomach, gall bladder, large intestine and spleen. Whole digestive system is taken care of. 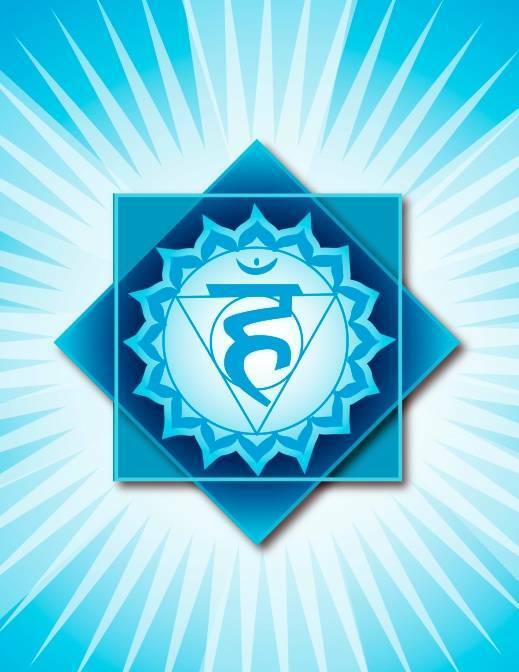 Functional areas are emotion, power and wisdom. It is associated with emotions and governs relationships. 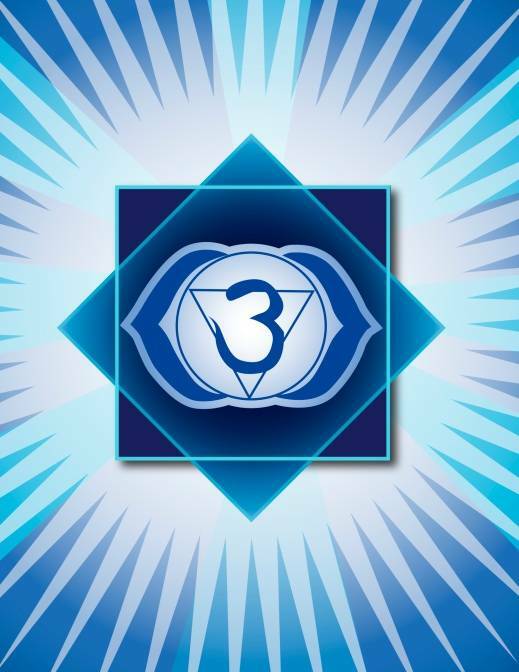 It is the point from where the astral energy enters into this physical. 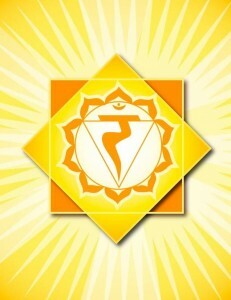 Mantra for this chakra is Ram. Its crystal is tiger’s eye, citrine. It is located at heart. Its color is green. It deals with thymus gland. Its element is air. It handles heart, lungs, blood, liver, vagus nerve, arms and circulatory system. 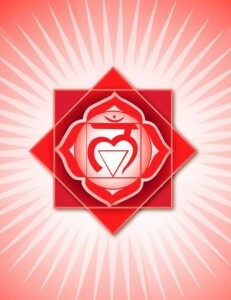 Functional areas are group consciousness, love, compassion and life force. 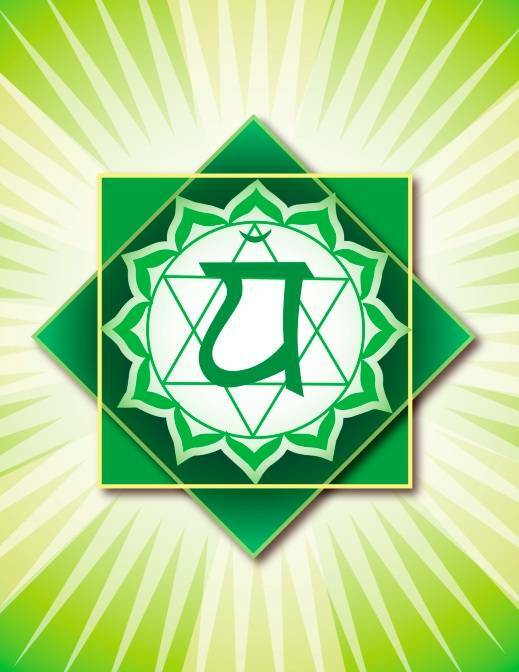 It influences immunity and is associated with higher consciousness and unconditional love. Mantra for this chakra is Yam. Its crystal is rose quartz, jade. It is located between eye brows. Its color is royal blue. It deals with pituitary gland. Its element is ether. It handles hypothalamus, lower brain, spine, left eye, nose, ears and autonomic nervous system. 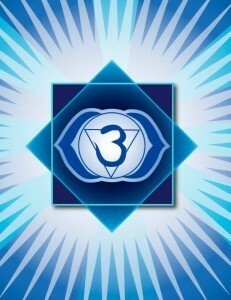 Functional areas are third eye, intuition, clairvoyance, intelligence and light. It is related to psychic powers. 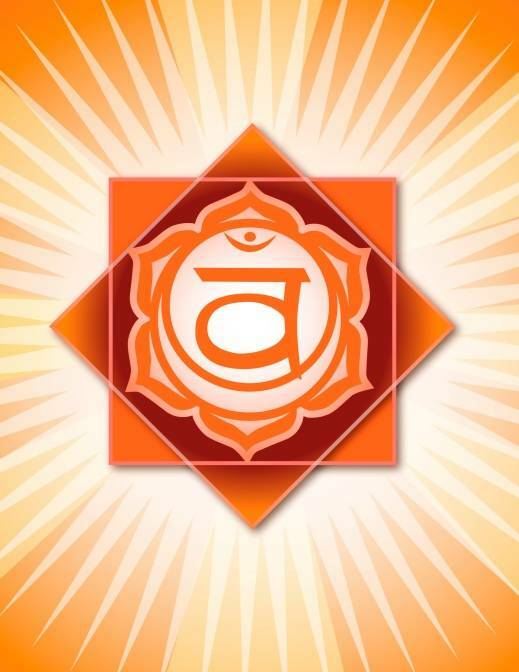 Mantra for this chakra is Aum. Its crystal is lapis, amethyst. It is located on the top of the head. Its color is violet. It deals with pineal gland. Its element is ether. It handles upper brain, spine, right eye, and cerebral spinal nervous system. 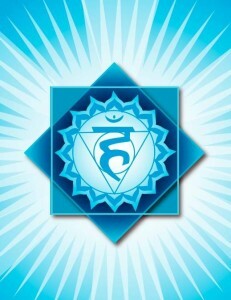 Functional areas are spiritual vision and enlightenment. It reveals person’s conscious evolution. Mantra for this chakra is Oum. Its crystal is amethyst, clear quartz.